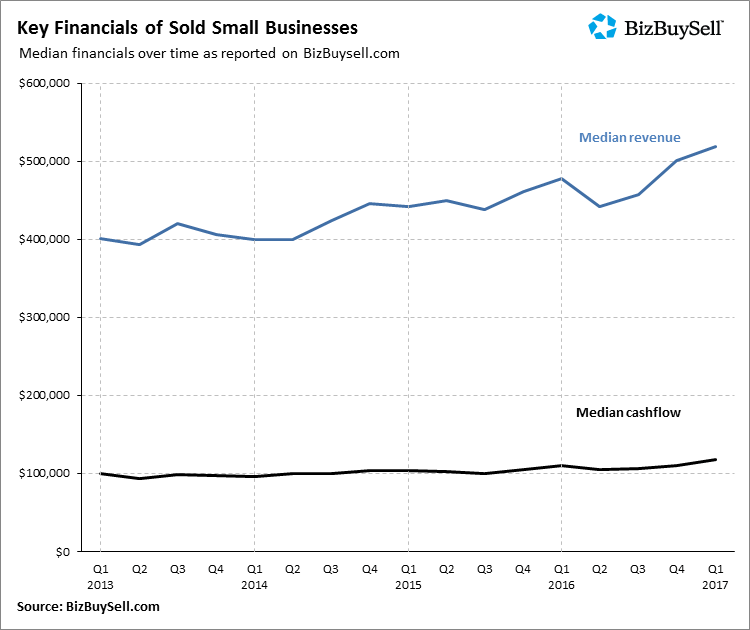 The BizBuySell Insight Report on small business transactions for the first quarter for 2017 has been released. The results tout a “hot and balanced market” with a spike in transactions, as well as, record-setting median revenues and cash flows. 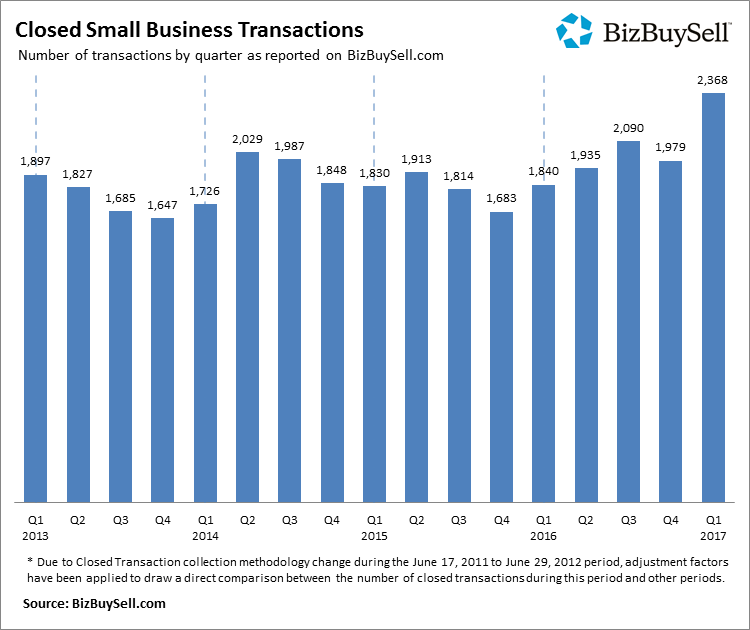 Transactions were up 29% from the previous year, totaling 2,368. Overall outlook for the transaction market is positive, supported by a strengthening economy, buyer/seller confidence and healthy business financials. Baby Boomers looking to capitalize on today’s favorable conditions and exit small business ownership for retirement are fueling the market supply. 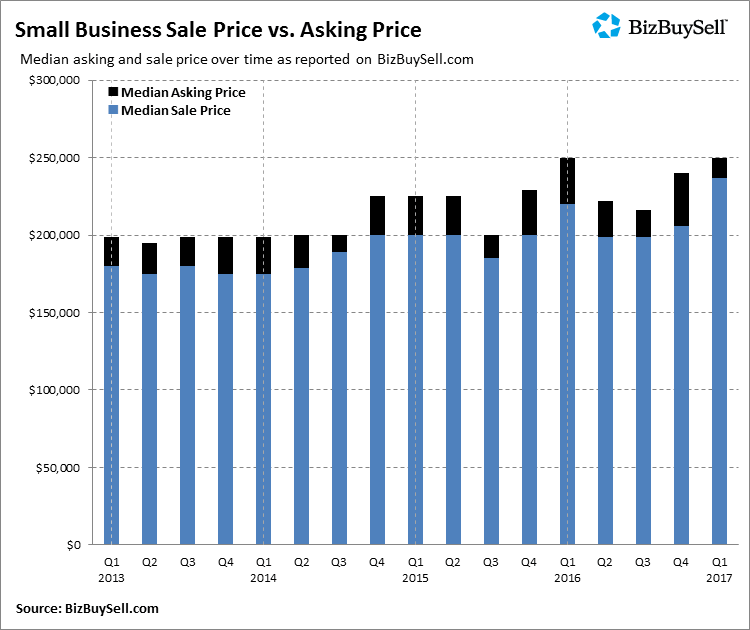 The median revenue of companies sold increased, continuing the trend of setting new highs. We’ve summarized the data for the region as published by BizBuySell. For data on all territories, please see the full chart on BizBuySell.